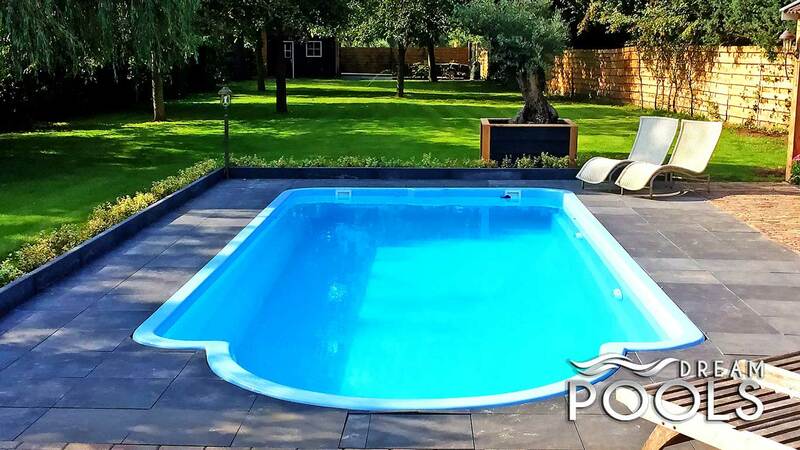 We present you the best and the most beautiful fiberglass pools on the market, which are very high-quality, durable and resistant to the weather conditions. We have many years of experience in the industry, what allows us to deliver solutions of the highest class. 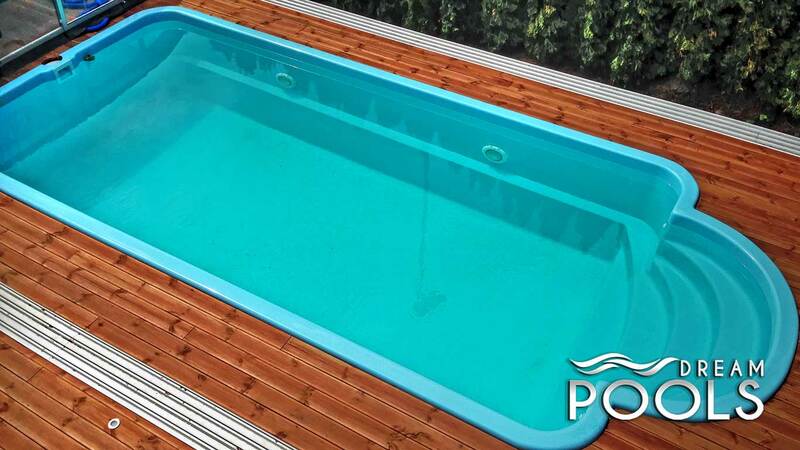 For the production of our polyester pools are used only original European materials that guarantee the highest quality. A very important issue in our production technology is using the special anti-osmosis layer in our fibreglass pools, which protects the entire structure of the pool from damage that might occur as a result of constant contact with water (from the interior of the fiberglass swimming pools as well as the water from the ground). Anti-osmosis layer protects against the infiltration of water into the structure of the polyester pool. Many companies ignore this important layer to make the production cheaper. 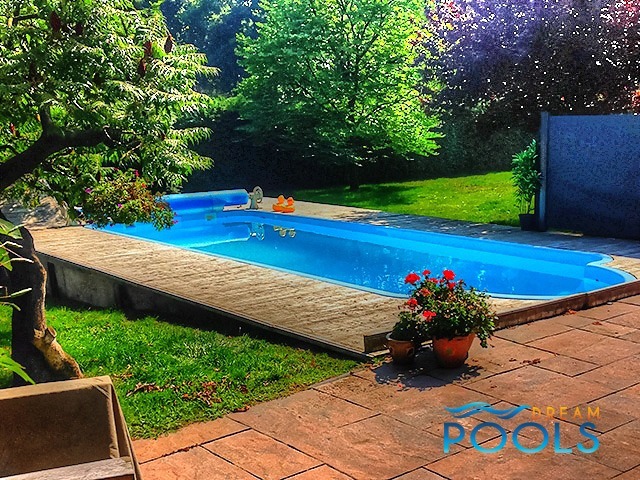 The pools which are devoid of the anti-osmosis layer are penetrated by the water and after a couple of weeks their surface is covered by the many bulges and blisters, what causes the permanent damage of the pool. Our pools Solaris and Sunshine are golden solutions, combining durability, ergonomics, comfort and attractive appearance. 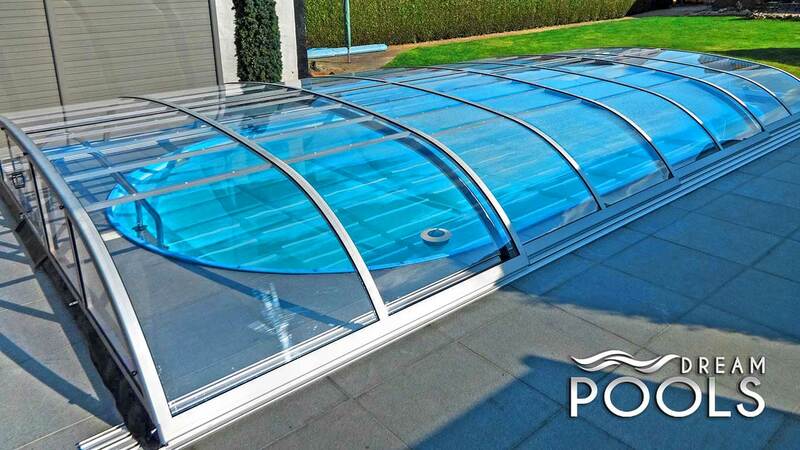 They are designed to get in and get out of the fiberglass swimming pools in the easiest way. After many tests we have obtained optimal parameters and we applied a special non-slip surface material. The proper shape enables to use almost the entire surface of the pool. 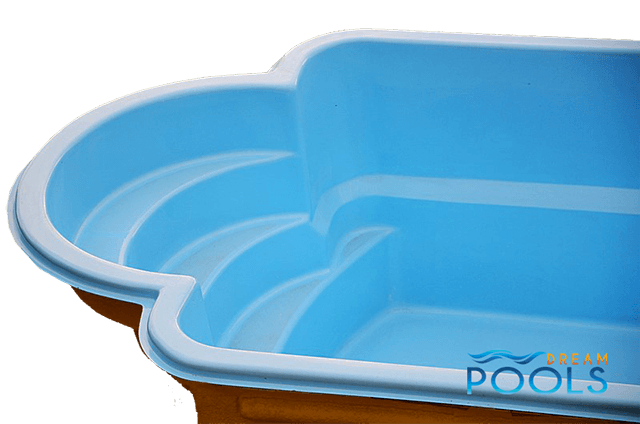 You can swim freely, even in a relatively small pool basin. 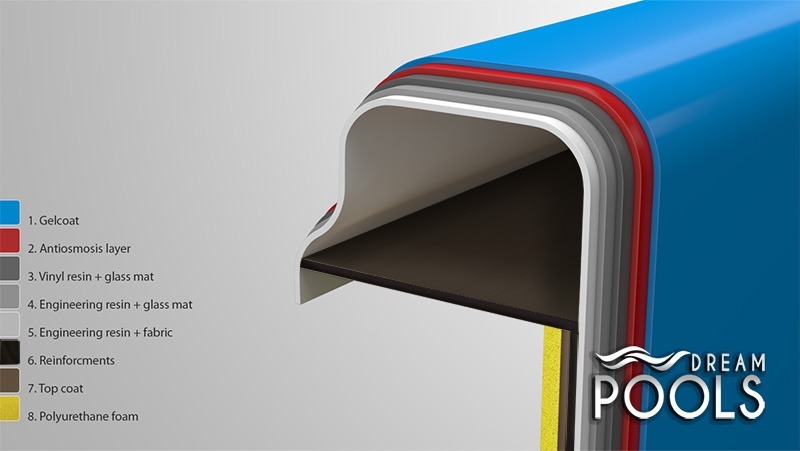 We use high quality polyester resins and laminates covered with durable gel coat. 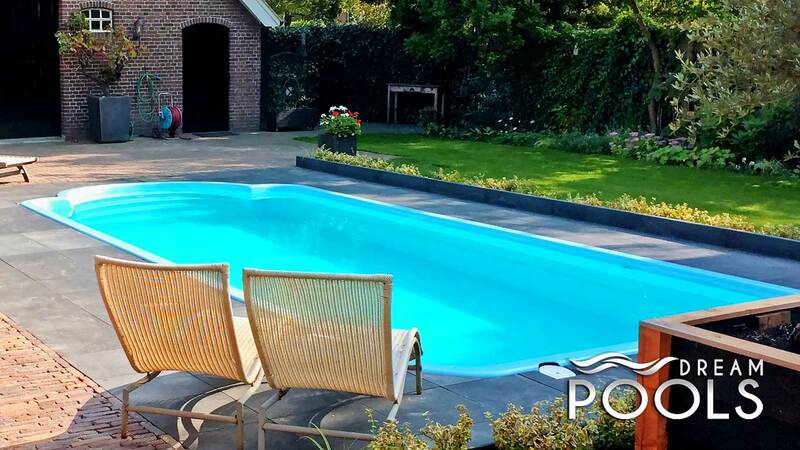 It is resistant to high and low temperatures, the impact of chemicals and helps to maintain the pool clean. It also provides a unique color fastness. 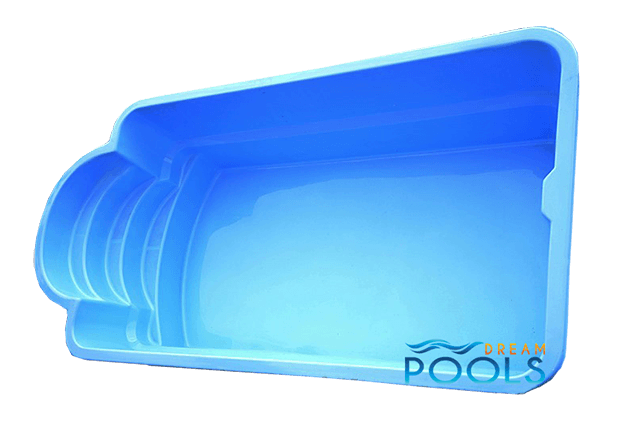 Our fiberglass pools have a special isolation from polyurethane foam, which prevents the drop of the water temperature. 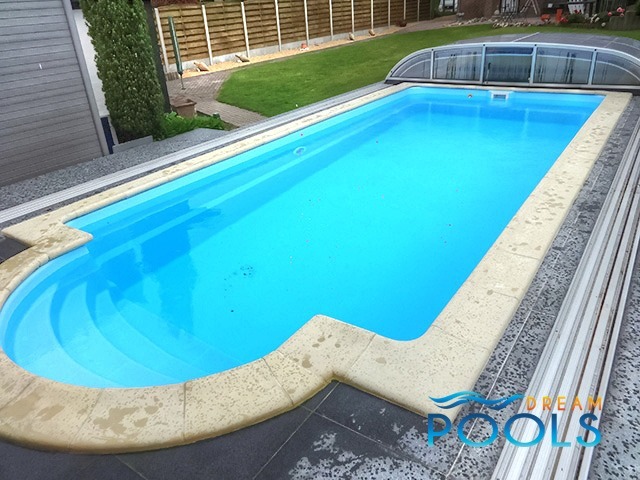 Uniform construction of the DreamPools pools is visually attractive and aesthetic, and provides 100% water tightness. Our pools are cheaper and faster to install than concrete pools. You can not bear costs and there is no inconvenience caused by long-term construction work . 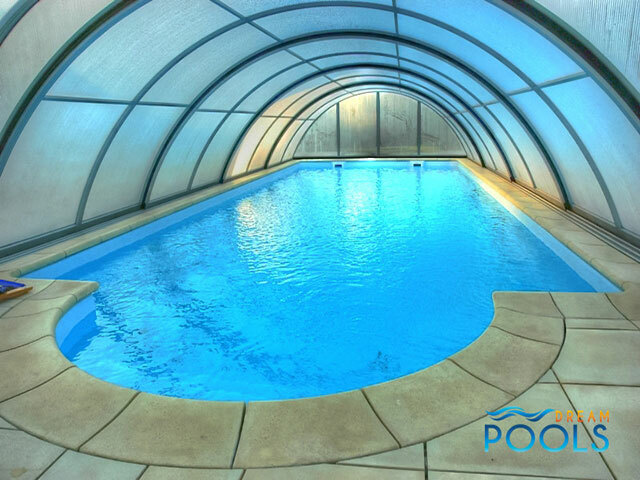 It all gives the opportunity of having a private pool almost within the reach for you. We invite you to see our offer and contact us in order to present an individual offer.